The Coolest Ticket in Town! This past weekend I attended the 1st Annual D.C.’s Wine Country Food & Wine Festival at Historic White Hall Manor in Bluemont, VA. Twenty of Loudoun County’s top wineries assembled under the big tent to pour select wines for Virginia wine lovers. The festival was met with sunny and clear skies all weekend and was well attended. Ticket sales for this event were limited to cut down on Disneyland-like lines and wait times – the organizers wanted Virginia wine lovers to enjoy their time and wine at Historic White Hall Manor, as opposed to spending over half of their time waiting in line. I think they did a great job based on what I observed, as well as what I heard from a number of happy patrons. I attended two days of the three day festival and thoroughly enjoyed every minute and sip of it. Really! One day I went as a volunteer wine pourer and another day as a true Virginia wine lover. Both days were equally as satisfying for me. The Beautiful Historic White Hall Manor in Bluemont, VA. The beautiful and picturesque grounds of Historic White Hall Manor was the perfect setting for a sensory food and wine experience highlighted by delicious food selections served up by Celebrations Catering and, of course, award winning Virginia wines. 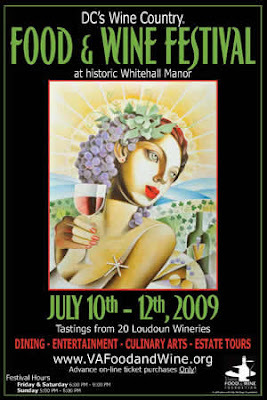 The first day I attended I poured for one of Loudoun’s top producers, Corcoran Vineyards. I was pouring alongside my buddy and wine blogger Todd, of the popular Wine Compass Blog. The entire evening was a busy one, but it was great chatting about wine with all the Virginia wine lovers who turned out. Just about everyone I poured for had a genuine appreciation for Virginia wine and was as eager to learn more about what they were tasting, smelling, and, the big one – correctly pronouncing Viognier! Several even asked or told me what they love or would like to pair with popular Virginia varietal wines such as Cabernet Franc, Petit Verdot, and Viognier. Additionally, there were some first timers too. I cannot count the number of satisfied palates that met Viognier and Malbec for the first time and fell in love! How sweet, right? New Virginia wine lovers were born this weekend at the DC Food & Wine Festival. Everyone that approached me on Saturday had something positive to say about the festival, from “delicious food”, “beautiful place”, “great bands”, “one of the best wines I have ever tasted”, “smooth operation”, etc. You get the point, friends. For a first run operation, this festival knocked the cork out of the park. 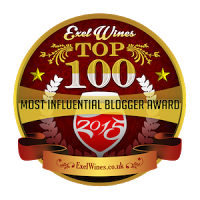 To put it simply, this was a classy event – it showed in the wine swirling, sniffing, and sipping wine enthusiasts that I had the pleasure of interacting with and pouring for during the two days I attended. On the second day, I enjoyed being myself, a Virginia wine lover, who was hanging out amidst the beautiful countryside and savoring good times, savory foods, and delicious Virginia wine. I cannot express how picturesque Historic White Hall Manor really is. Whether you wanted to find a spot on the manicured lawn and catch some sun, or sit under tall mature trees in the shade, or relax in a rocking chair on the side porch, or even dine indoors in the attractive dining area, there were many places to enjoy the relaxing countryside, take in breathtaking views, and indulge in tasty foods and a glass or a bottle, even bottles, of Virginia wine. In closing, I strongly suggest you get out and explore Loudoun County wine country sometime soon. Not only is Loudoun County numero uno in Virginia wine production, but they are really turning out some great wines too. Besides that, Loudoun wine country is beautiful – rolling hills, green lawns, horse farms, charming historic towns, and eye-catching tasting rooms. It is a must visit. If you missed this event this year, be sure to mark your calendars for next year. If you attended, I know you are coming back next year. Until then, “Happy Sipping,” and see you next year at the 2nd D.C.’s Wine Country Food & Wine Festival at Historic White Hall Manor in Bluemont, VA, my friends. Rock the Vote for your Favorite Virginia Winery!